Matthew 4:23 (ESV) And he went throughout all Galilee, teaching in their synagogues and proclaiming the gospel of the kingdom and healing every disease and every affliction among the people. 24 So his fame spread throughout all Syria, and they brought him all the sick, those afflicted with various diseases and pains, those oppressed by demons, epileptics, and paralytics, and he healed them. 25 And great crowds followed him from Galilee and the Decapolis, and from Jerusalem and Judea, and from beyond the Jordan. Let’s start our bible study in verse twenty three of chapter four. V23 And he went throughout all Galilee, teaching in their synagogues and proclaiming the gospel of the kingdom and healing every disease and every affliction among the people. Jesus went all about his mission from the get go, he knew the customs of the day that would allow visitors to teach in their synagogues and can you imagine being there and hearing the most holy words be read by the author himself? These Galileans did not know how blessed they were! Where better to start his ministry than the very house that they dedicated to God? Teaching – was where he was delivering the content and explaining what the matter meant. Preaching – Is giving exposition on the scriptures and this is why the ESV uses the word proclamation because he was proclaiming the truth of what was written and its literal fulfillment in flesh before them. Who could argue with that? V24 So his fame spread throughout all Syria, and they brought him all the sick, those afflicted with various diseases and pains, those oppressed by demons, epileptics, and paralytics, and he healed them. As stated above people wanted to meet the man who was healing all these people and his fame spread as far as Syria and they brought him to the author of all creation and he was able to demonstrate in a powerful way that he had power over creation and who better to fix someone than someone who was there and saw the original draft when the world was created. I read this verse and it gives me great hope because as a spouse of someone who has a chronic pain issue and it reinforces my belief in the power of prayer because I know that Jesus can heal according to his will and here we see in a historical record written by a man who was so meticulous that the Romans had him collecting tax for them. He even goes as far to catalogue the types of people that Jesus healed. I love passages of scripture like this when I hear the skeptics argument that “the Bible is so vague”. I also love that Jesus is mentioned to have healed people who were “demon possessed” and showed that he was indeed greater than he who was in the world. It was also a glimpse into the ease that Jesus will make all things new in the book of Revelation. V25 And great crowds followed him from Galilee and the Decapolis, and from Jerusalem and Judea, and from beyond the Jordan. Such as his fame attracted the numbers and here is a lesson for Pastors and leaders who worship the idea of having a mega ministry. I would state to you that it is not wrong to have such a united movement of people all pointing in the one direction as long as it is all about Jesus. I would state to follow Jesus example when he had the multitudes. HE TAUGHT THEM! The temptation is there to not “go against the grain” or “talk about things that will lose numbers” Jesus never did that and Jesus frequently taught them the truth. Jesus wasn’t into impressing them with “holy tricks” or “miracles” he was looking to change their hearts and that is still the case today, if you have not accepted Jesus into your heart then I would urge you to get in contact and I would love to speak to you more. We are not promised tomorrow and the point of this blog is to introduce you to your Messiah, Jesus Christ. Lord willing, in our next article in Matthew we will start in verses one through twelve of chapter five studying when teaches the part of scripture known as the beatitudes. I pray that you are able to join us as we go through the bible, line by line and precept by precept. Psalms 125:1 (ESV) Those who trust in the LORD are like Mount Zion, which cannot be moved, but abides forever. 2 As the mountains surround Jerusalem, so the LORD surrounds his people, from this time forth and forevermore. 3 For the scepter of wickedness shall not rest on the land allotted to the righteous, lest the righteous stretch out their hands to do wrong. 4 Do good, O LORD, to those who are good, and to those who are upright in their hearts! 5 But those who turn aside to their crooked ways the LORD will lead away with evildoers! Peace be upon Israel! V1 Those who trust in the LORD are like Mount Zion, which cannot be moved, but abides forever. This seems very basic; those who trust on the LORD are like the mountain in which Jerusalem was built. The Psalmist states that this mountain will abide forever and cannot be moved and that is correct because when the Lord Jesus comes back he will rest on the Mount of Olives and split it in two. Interestingly as regards to Mount Zion we read that in the most recent 1948 war it was he only part of the city to stay in Israeli hands for the duration of the conflict. V2 As the mountains surround Jerusalem, so the LORD surrounds his people, from this time forth and forevermore. Psalm 139:1 (ESV) O LORD, you have searched me and known me! 2 You know when I sit down and when I rise up; you discern my thoughts from afar. 3 You search out my path and my lying down and are acquainted with all my ways. 4 Even before a word is on my tongue, behold, O LORD, you know it altogether. 5 You hem me in, behind and before, and lay your hand upon me. 6 Such knowledge is too wonderful for me; it is high; I cannot attain it. 7 Where shall I go from your Spirit? Or where shall I flee from your presence? 8 If I ascend to heaven, you are there! If I make my bed in Sheol, you are there! 9 If I take the wings of the morning and dwell in the uttermost parts of the sea, 10 even there your hand shall lead me, and your right hand shall hold me. God knows us inside out, he is acquainted with our ways far better than we are and knows us better than we know ourselves. As much as we may want to at times we cannot deceive him as he perceives our motives in the purest of fashions. He wants to bless us and desires that we follow the plan he has for our lives. I am reminded of the piece of prose called “footprints” and I am reminded that during my roughest times is when there was only one set of footprints because I could not bear the journey I was on and God carried me through it. Did I do everything perfect? No, but that did not stop the LORD surrounding me. From personal experience I know that this is true. V3 For the scepter of wickedness shall not rest on the land allotted to the righteous, lest the righteous stretch out their hands to do wrong. V4 Do good, O LORD, to those who are good, and to those who are upright in their hearts! Matthew 5:43 (ESV) “You have heard that it was said, ‘You shall love your neighbor and hate your enemy.’ 44 But I say to you, Love your enemies and pray for those who persecute you, 45 so that you may be sons of your Father who is in heaven. For he makes his sun rise on the evil and on the good, and sends rain on the just and on the unjust. 46 For if you love those who love you, what reward do you have? Do not even the tax collectors do the same? 47 And if you greet only your brothers, what more are you doing than others? Do not even the Gentiles do the same? 48 You therefore must be perfect, as your heavenly Father is perfect. 2nd Chronicles 7:14 (ESV) if my people who are called by my name humble themselves, and pray and seek my face and turn from their wicked ways, then I will hear from heaven and will forgive their sin and heal their land. And that is the heart of Christ and also the heart of the father. Imagine a world where we prayed for those who hated us, served them as if they were our best friend, we all gave our tithes gladly and then gave more out of our abundance, we opened up our homes to non-believers to let them see Christ in action, imagine that impact. We could truly change the world! V5 But those who turn aside to their crooked ways the LORD will lead away with evildoers! Peace be upon Israel! This is the truth; if people continue in their sins then they will be choosing their own eternal destination. For your afterlife you have one of two options, you can choose to go with God into heaven or the LORD will lead the others away with the evildoers. The Day of the LORD as it is called in the bible is a real event and it will happen, until that day I am committed to praying for those who stand against me and I pray for peace to be upon Israel also. Lord willing, in our next article in the book of Psalms 127 where we look at a song of ascents of Solomon which looks at the folly of building without the LORD, it is a fantastic Psalm and one of my personal favorites so I pray that you are able to join us as we go through the bible, line by line and precept by precept. V5 Now there were dwelling in Jerusalem Jews, devout men from every nation under heaven. V6 And at this sound the multitude came together, and they were bewildered, because each one was hearing them speak in his own language. V7 And they were amazed and astonished, saying, “Are not all these who are speaking Galileans? 8 And how is it that we hear, each of us in his own native language? They recognized these men as Galileans, possibly by their accent, possibly their dialect. Being a Scotsman in America, I speak the same language as the people who are from here but the way that I speak identifies me as Scottish. What glory to God that so many different tongues were spoken and so many folks understood the message that was being given to them about the praises of God’s glory, God willing we will look at Peters Sermon which begins in Acts 2:14 and see what was being said to these people. God was outreaching both Jews and proselytes, Cretans and Arabians also. Everyone that was in attendance was able to hear about this Messiah! Isn’t it amazing that God used men who were seen as uncultured, brash and uneducated? As a Scottish guy who barely passed high school with no college level education I am buoyed by this news that if you are willing, if you are where God wants you to be then he can use even the rawest of materials and turn them into something beautiful. In my case he used a man who was brash, uncouth, a drunkard who looked after number one (I could have been Galilean) and turned him into a man who lives to study and teach the word of God, a man who loves his wife and loves his daughter, what a testimony and what a Savior! And here is where we get our title from, I actually blagged it from a musical hero of mine called Sammy Horner and a band he played in called “The Electrics” and they had a song called “Visions and Dreams” which many of their fans (well at least 5 of us) thought this was their Sargent Pepper or Bohemian Rhapsody. Anyways, waaaaay to long an introduction as usual! The question they asked was a legitimate question, it was obvious that something supernatural was happening so a question of “what does this mean?” is not to unreasonable a question. This was not answered at this time but should we get to Peters sermon then you will see that Peter answers the question. They were accused of being drunk but as we read it was only the third hour of the day (9am) and it is not uncommon when God moves that he is mocked. I hope and pray that we get to the next article to hear Peters sermon. Pentecost – Can I Get a witness? Imagine the scene, the guy you have been following around for the last three years because you believed he was the Messiah is arrested by local law enforcement, betrayed by one of your closest friends for money! Everyone both locally and nationwide is talking about his death, there are several eye witnesses. Then the unbelievable happens, three days later, he appears again, ALIVE! You know it is him because you have been a step behind him for his whole ministry, you have been in earshot of every word he said, you may not always have grasped the meaning, but you were there. He hangs around for just over a month, appearing to smaller crowds (1 Cor 15:6) and affirming to the faithful that he is actually alive and rose from the dead. You can see (and Thomas wanted to feel) the wounds in his hands, you get that he came back to show he was who he said he was! 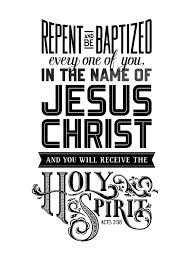 Now he says this, you will be baptized with the Holy Spirit! Well he hasn’t been wrong so far and now you realise that he is God! We are given one instruction, stay put in the city we are in, that’s not to hard huh? Then they will fulfil Isaiah 43:10. Can you imagine what the disciples had gone through in the last 50 odd days? If they would be getting diagnosed in modern times they would have all manners of PTSD. They are so happy Jesus has come back, they realise that he is who he said he was so they ask the obvious question to the Jew of that day “when will Israel be restored”. You see, like Herod and so many other Jews, they focused on the prophesies that spoke of the messiah returning to re-establish his Kingdom and were looking for the messiah to overthrow Rome. Jesus answers plainly, the kingdom you may not know, but the power from the kingdom you will get shortly! It wasn’t too long before the prophesy was fulfilled. Acts 2:1 (ESV) When the day of Pentecost arrived, they were all together in one place. 2 And suddenly there came from heaven a sound like a mighty rushing wind, and it filled the entire house where they were sitting. 3 And divided tongues as of fire appeared to them and rested on each one of them. 4 And they were all filled with the Holy Spirit and began to speak in other tongues as the Spirit gave them utterance. 5 Now there were dwelling in Jerusalem Jews, devout men from every nation under heaven. 6 And at this sound the multitude came together, and they were bewildered, because each one was hearing them speak in his own language. 7 And they were amazed and astonished, saying, “Are not all these who are speaking Galileans? 8 And how is it that we hear, each of us in his own native language? 9 Parthians and Medes and Elamites and residents of Mesopotamia, Judea and Cappadocia, Pontus and Asia, 10 Phrygia and Pamphylia, Egypt and the parts of Libya belonging to Cyrene, and visitors from Rome, 11 both Jews and proselytes, Cretans and Arabians—we hear them telling in our own tongues the mighty works of God.” 12 And all were amazed and perplexed, saying to one another, “What does this mean?” 13 But others mocking said, “They are filled with new wine.” 14 But Peter, standing with the eleven, lifted up his voice and addressed them: “Men of Judea and all who dwell in Jerusalem, let this be known to you, and give ear to my words. 15 For these people are not drunk, as you suppose, since it is only the third hour of the day. This was social as opposed to social media. God chose a time where there was no MySpace, Bebo, Facebook, Twitter, Google Plus or any if that fun stuff, he also chose a place where everyone who would be seeking God would be and at a time where they would all be in that city. These devout men, who would already be of good reputation in their own lands, would come back with this story of how the Holy Spirit same down and how these men communicated to them each in a way they would recognise (all simultaneously) – Talk about Christianity exploding on a geographic scale! This was the great commission being fulfilled in one act. 2) wait until I tell you to wait. We can learn so much from that, from their simple obedience came Pentecost! Simple huh? Galatians 6:8 (ESV) For the one who sows to his own flesh will from the flesh reap corruption, but the one who sows to the Spirit will from the Spirit reap eternal life. 9 And let us not grow weary of doing good, for in due season we will reap, if we do not give up. So to recap, be obedient, be where God tells you to be, live by the spirit and not grow weary! Let us all go and be witnesses now!